Terminology check: I am talking about an account that you don’t normally see in Windows 8 called ‘Administrator’. As you may already know, you can create other accounts in the Control Panel which have administrative privileges, and are members of the Local Administrators group. However, while you can call such accounts Jo, Fred or even TechieAdmin, you cannot call them Administrator. The reason is that Administrator is already in the SAM database, you just need to turn it on. I will show you how to activate ‘The Administrator’ account by typing a ‘Net User’ command. One pleasant side-effect of logging on with this super account is that you are not prompted for the annoying UAC dialog box. Password Preparation: It’s not very helpful to activate the Administrator, but not to know the password! Complex passwords can be a pain to remember, this is why I advise getting your characters ready in case the local group policy won’t allow a blank password, and is insistent on words with mixed case with numbers. Logon to Windows 8 using an account which is a member of the local Administrators group. Once activated, you can also view the Administrator account in the Control Panel, Users Accounts. Logon to Windows 8 with another administrator’s username and password. ‘Run as administrator’ from the shortcut menu. My idea is for you to learn more about the options for Net User. In particular, examine the syntax to set its password. Type plain: Net User. Compare with what you see in the Control Panel, User Accounts. Trap 0 – Access Denied. The most likely reason is that you did not start the cmd prompt with elevated privileges. Try again; this time right-click and ‘Run as Administrator’. Trap 1 – Spaces: There should be no space between the ‘/active’ and the colon(:). I thank Rob Hilton for pointing out the above trap. Trap 3 – The Word is ‘Active’: Pay close attention to the command name, it should be active, and not activate. Launch the Windows Explorer. In the search box type: secpol.msc. Trap: It won’t work unless you append the .msc extension. Select ‘Enable’. You have activated the account; almost certainly it has a blank password. 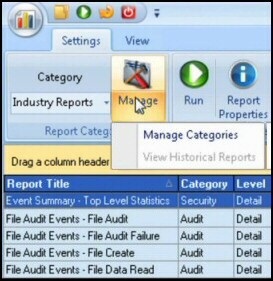 Check Control Panel, User Accounts and Family Safety, User Accounts. 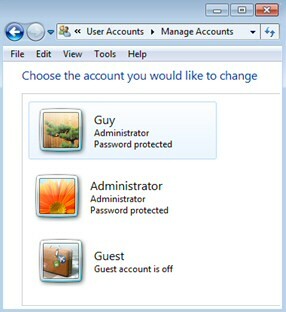 You can also see the resulting Windows 8 Administrator in the Control Panel, User Accounts folder see below. One benefit of Windows 8 Administrator account is that it has elevated privileges. 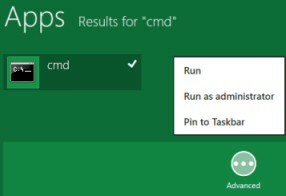 Thus if you run CMD you don’t have to ‘Run as administrator’ before you get unrestricted access to the command line. Another benefit of activating this Windows 8 Administrator account is that you don’t see the UAC dialog box when you make system changes. Although it is possible to suppress the UAC with a local group policy, there is a lingering fear that security is being weakened. Another benefit of this hidden account as a ‘back door’, for example, if you are locked out of your main account. Sitting there now at your computer, you can’t believe that you will lock yourself out, yet logic dictates that somewhere in the world, someone has just done that: locked themselves out of Windows 8. Wouldn’t they love to know how to activate their administrator account? Activating this super account provides a good opportunity to examine where you can configure Windows 8’s accounts. Click on the Start button, Control Panel and select –> User Accounts: My point is that you can check in the GUI which accounts have activated successfully. /Active:yes the account is visible. /active:no the User Name disappears from the list below. Every Windows account has a unique SID (Security Identifier). From NT 3.5 days it has been normal for THE Administrator’s account to have a SID ending in 500. I was surprised therefore, not to see any such SID number in Windows 8 – until I activated the hidden administrator. When I launched regedit and checked the HKEY_USERS, there was the famous SID: S-1-5-20-2354314321-13413-500, and it corresponded to The Administrator’s account. One puzzle remained, in Windows 8 can you create, as opposed to activate, an account with a username of Administrator? John Wolfe came up with the answer. ‘When I tried to name the original account as Administrator. I was told that the "Account already exists" ‘. As usual, computer systems won’t allow two accounts with the same name.